Friday, 21 December 2018, 2:08p.m. The Warehouse has been slammed for selling an "inappropriate" and "controversial" toy in a set of Christmas crackers on sale to the public. 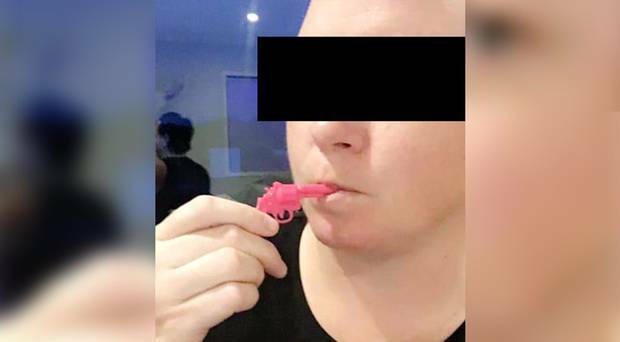 A number of complaints were made on social media regarding a toy gun-shaped whistle that encourages recipients to put the toy gun in their mouth. To use the whistle, you must place the barrel of the gun in your mouth before blowing on the end. Some customers questioned whether the gun-shaped whistle was appropriate for Christmas crackers, while others said the product is not suitable for children. "The Warehouse really? You're selling Xmas crackers that have a whistle in them in the shape of a gun that you have to put the barrel first into your mouth to use. Poor poor form," one disgruntled customer wrote. Another said: "Completely inappropriate for the context." The Warehouse has since responded to the backlash, telling the Herald it will review its Christmas range for 2019. "We're very sorry for any offence caused by our Christmas Cracker toy – it certainly wasn't our intention," a spokesperson said. "Our 10 pack of Christmas Crackers comes with 10 different toy gifts including a comb, a helicopter and a rocking horse. "A photograph of the toys is displayed on the box. We will be reviewing our Christmas Crackers range for next year and as usual we will take into account our customers' feedback." While some customers expressed their fury, others saw the humorous side of the Christmas cracker toy. "That's actually incredibly funny in a very dark way."